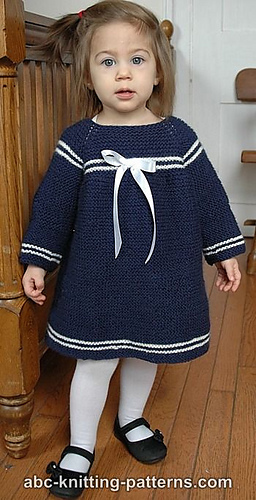 This is a quick, simple dress that’s great for a not very experienced knitter. The dress is worked in garter stitch, top down, without seams or a back seam (optional; read more below). 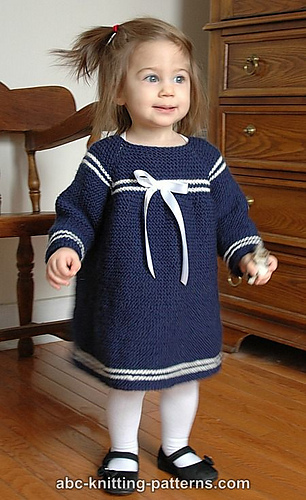 The yoke features raglan sleeve construction and decorative white stripes. There also stripes along the bottom of the skirt and the sleeves.